Most business schools start their first-year students with a set of courses that get everyone on the same page, teaching certain fundamentals that serve as a foundation for the rest of the education. 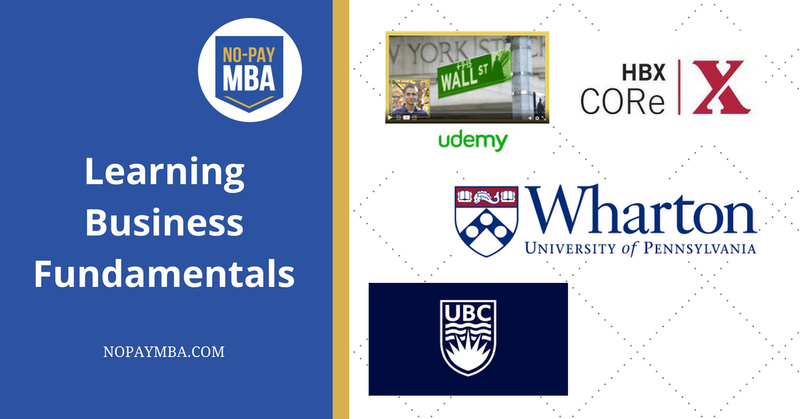 If you are considering putting together your own business education, I recommend that you do what regular MBA students do and start by taking a variety of courses that cover the major business disciplines. 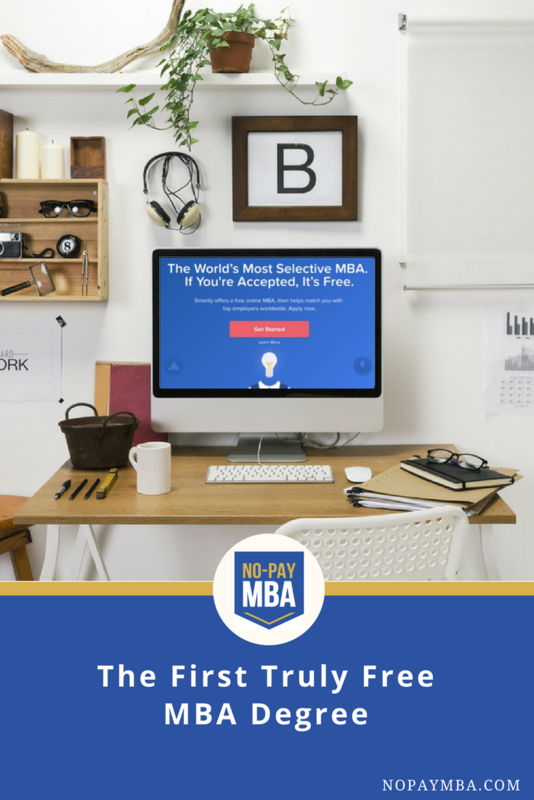 This website is dedicated to the premise that you can get an MBA-style education, on your own, for a fraction of what you would pay for even the cheapest MBA program out there. This is possible thanks to the existence of open educational resources (OER), massive open online courses (MOOCs), and other free and low-cost resources that make high-quality education available to pretty much anyone. These days, in addition to individual business courses, there are a variety of course series that cover those fundamentals. The nice thing about a course series, is that some of the work of designing your curriculum is done for you. Below are a few options for readymade course series that teach business fundamentals to people without a prior business background. While the list of topics they cover varies slightly, what all these programs have in common is that they will teach you to understand and speak the language of business. The Business Foundations Specialization from Wharton Business School on Coursera consists of five courses, plus a capstone project. The courses provide an introduction to marketing, financial accounting, managing people, corporate finance, and operations management. I took versions of three of these courses (accounting, marketing, and operations management) back when they were first introduced (the current courses are condensed from the originals), and I can personally attest to the high quality of the content. I still use concepts I learned in these courses every day at work. At $79 per month, it’s a good value when you consider that you are learning from some of the top professors at a school that is consistently in the top 5 MBA programs in the US. The full program can be completed in about 6-7 months, at a cost of around $500. I have been very interested in the Certificate of Readiness (CORe) from Harvard Business School’s extension program, HBX. CORe consists of three courses, on Business Analytics, Economics for Managers, and Financial Accounting. At $1,950 this program is more expensive than the others on this list. However, I think there are some good reasons to consider it. First, the Harvard name pulls some serious weight, even if you’ve take just a short program like this one. Second, the program offers some flexibility to students. You can choose a standard 12 week program, an accelerated 8-10 week program, or an extended 17 week program, depending on what fits into your schedule. You can also elect to earn credit (for an additional fee). Third, the level of personal interaction in this program is high as compared to other online courses. From what I can tell, the interaction is more similar to an online degree program than what you would find in a MOOC. One newer program is the Business Fundamentals MicroMasters from the University of British Columbia. This MicroMasters is offered on the edX platform. Like the other MicroMasters on edX, this program can accelerate a Master’s degree. So, if you decided to continue to get a full MBA from UBC, this program would count towards that degree. When you consider the offer of credit towards the full MBA, the $720 price tag is actually very affordable. The series consists of six courses, including Business Foundations, Business Communications, Introduction to Accounting, Organizational Behavior, Introduction to Marketing, and Introduction to Corporate Finance. The program can be completed in about 9 months. 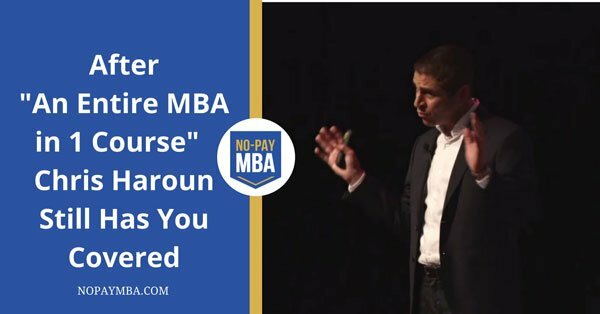 For a very inexpensive introduction to business, you might want to look at Chris Haroun’s course on Udemy, An Entire MBA in 1 Course. I have reviewed this course in depth elsewhere on the blog. 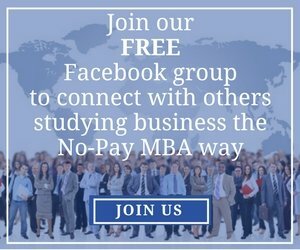 It is a great resource, and at $50 (with No-Pay MBA’s discount), it is very affordable as compared to the other options on this list. One drawback is that it is just a single course, so you are only getting one person’s perspective. That said, it is about as comprehensive as any single course you will find. Particularly if you are an entrepreneur or working in a startup environment, or if you just need to gain a basic understanding of business and don’t have much time or money to invest, this is a great choice. It’s also fully on demand and self paced, so you can access any part of it at any time. 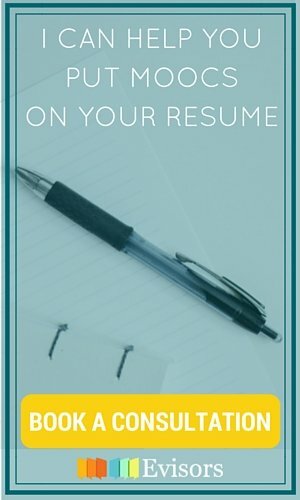 NB: One thing to be aware of is that unlike the other options on this list, this is not the kind of course you would list on your resume, though it works just fine for increasing your general level of business skills and savvy. 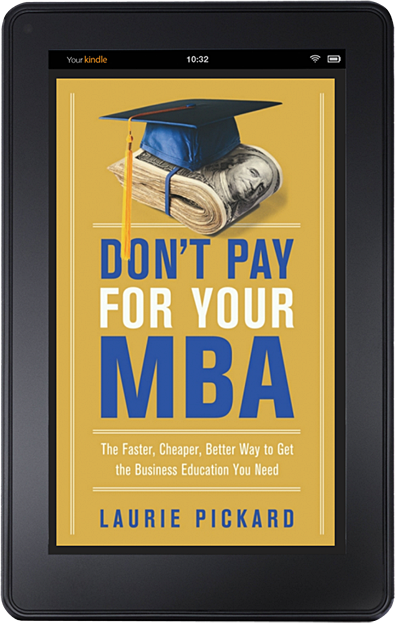 Of all the chapters in my book Don’t Pay For Your MBA (HarperCollins, 2017), my favorite to write was Chapter 5. That’s because Chapter 5 is about how to craft your career, a topic that I find endlessly fascinating. In my book, I suggest approaching your career as a series of hypotheses and experiments, just as an entrepreneur who uses Design Thinking would approach designing a new product. I also emphasize the importance of innovation, creative thinking, and storytelling. I believe that every career (and every life) is a story in progress. The better you become at piecing together the bits of that story into a coherent narrative, the more easily you can convince other people (potential employers, bosses, investors, etc.) of what your next step ought to be and why you are ready to take it. 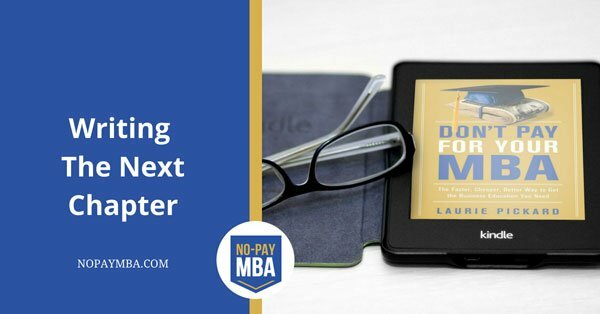 This process of crafting a narrative story out of your life and career relates directly to the question I am most frequently asked about the No-Pay MBA project: What can you do with a self-directed business education? 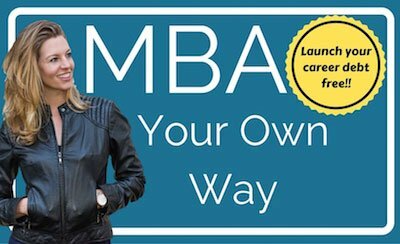 It’s a question that is probably on your mind as well if you’re considering going down the DIY MBA path. When I wrote the book, I didn’t yet know what my next step would be. At the time, I was working for the U.S. Agency for International Development in Rwanda and running No-Pay MBA as a side project. In Chapter 5, I wrote some of my hypotheses about what my next career step would be. These included starting my own consulting business, continuing to work for USAID, and joining a startup in educational technology. Shortly after I finished writing the book, I got an email from Dhawal Shah, the founder of Class Central. For those who don’t know it, Class Central is the best search engine and review site for MOOCs. I used the site a ton during my studies, and I had connected with Dhawal as a fellow entrepreneur in the MOOC space. As his business was growing and he found himself in need of new talent, he thought of me. His message came at just the right time. I am now working for Class Central as part of the core team. Because Class Central is a startup, that means doing whatever needs doing, from writing articles to attending conferences to strategizing about the direction of the business. Although I couldn’t have foreseen stepping into this particular role even a few months before it happened, it is a perfect fit. 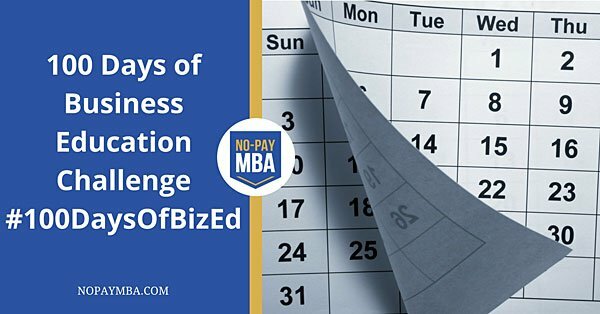 Will a No-Pay MBA be part of your story? This blog is a chronicle of my experience using free and low-cost resources from the internet (primarily MOOCs) to create my own version of an MBA, a project I started in 2013. I’m not blogging as much these days, since I finished the education and put all of my best insight into the book. Now, my main goal with this website is to reach the people who can benefit from reading my book. You may be here because you are researching options for affordable business education. If that is the case, then you may be one of the people I am trying to reach. Whenever I am deciding whether I need a book, I like to listen to the author talk about their work. If the same if true for you, and you are deciding whether you need Don’t Pay For Your MBA, you can hear me on some of the podcast interviews I’ve done surrounding my book launch. These include the How To Be Awesome At Your Job Podcast, Everyday MBA, and StartEdUp. I’m also happy to hear from you, whether you are considering pursuing a self-directed business education, or if you’ve started down that path. I love connecting with self-directed learners who are considering or have pursued the NPMBA method. If you want to get in touch, the contact form on this website is a direct line to my inbox. Here’s wishing you the best of luck writing the next chapter in your story!